Home > > Opening the new Forum…. You are here: Home / Topics / Opening the new Forum…. Home › Forums › 2020 Raid Australia › 2020 General Raid discussion › Opening the new Forum…. This topic contains 3 replies, has 3 participants, and was last updated by John 8 months ago. There is some good information here about general raid preparation. The information is from 2008, but the preparation info etc are still valid. Happy to be part of the forum. 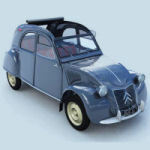 We, Patrice & I (Thierry) are planning to be part of the next 2CV raid in 2020. As you probably know, some have snuck out for some reconnaissance for the next raid. Test Transmission……… and to see who is here………….